At this Lunch and Learn, you’ll learn how you can use your existing fiber infrastructure with new fiber optic sensing technology to enable passive monitoring of structures and secure environments. A variety of passive sensors can allow you to monitor structural integrity, temperature and strain conditions, and provide security warning alerts relative to unwanted intrusions and unlawful access to secure environments. System integrators and distributors of fiber optic sensing products. 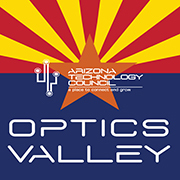 Kent Rochford, the CEO of SPIE, will give a Photonics Industry update.